What to Know About Insurance Adjusters & Settlements | Lattof & Lattof, P.C. When you are involved in a car accident, it is typically an insurance company that provides the compensation for your medical bills and property damage. Either the at-fault driver’s insurance company or your own will investigate your claim and determine the amount of compensation, if any. The agency will send an adjuster to discuss your case and manage your claim. It is important to be extremely careful when dealing with insurance companies and adjusters. When you hear from an insurance adjuster, he will likely seem very friendly and concerned about your situation. It’s his job to make you feel comfortable answering his questions and providing information. However, insurance adjusters are trained to get you to relax and talk. Their main goal is to save money and protect the bottom line of their company, and they will employ any number of tactics to do so. They will try to obtain as much information as possible, looking for details that can be used to undermine your claim. 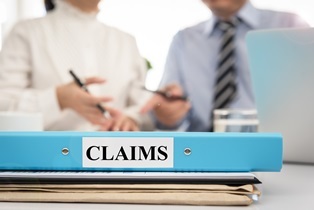 Insurance adjusters will typically request a copy of your medical records, and if you are seeking compensation for an injury, it seems fair that the insurance company would want proof that you did, in fact, suffer an injury. But you don’t have to sign a blanket release for ALL of your medical records. By law, you can restrict the records to those that pertain only to the injury suffered in the accident. However, adjusters won’t tell you this. Because they’re looking for ways to save money, they want to dig around in your medical records for information that might be beneficial to them. Even if it’s unrelated to the accident, they will attempt to use information they find in your records to claim your injury already existed or was caused by some other condition. Whether it’s true that you had a pre-existing medical condition or not, victims still have a right to care and compensation when another driver causes them injury. Ask for the caller’s identification. During every conversation, make sure you write down the name and contact information for the adjuster you speak with. Remain calm. Especially when you suffer severe injuries due to another person’s carelessness, the situation can be frustrating and emotional. Remember that the adjuster is a necessary part of the process, and remain civil. Answer questions about the crash only. Don’t provide additional information about what happened during the crash, and try to stick to the basic facts of the accident. Don’t provide too much personal information. While it’s fine to share your name, age, address, and name of your employer, you don’t have to explain anything else about your habits, schedule, or the nature of your work. Also, stay off social media, as adjusters will explore your online sharing. Don’t discuss your injuries. The nature of your injuries could change. Only a doctor can determine the extent of your injuries and offer a prognosis going forward. Don’t sign any documents. Once you sign any type of agreement, it can be extremely difficult to change it. Don’t sign your name to anything without talking to an attorney first. Insurance adjusters are experienced at getting the most damaging information possible about you. Most accident victims have little experience with this, and even those who are careful can be taken advantage of. Victims need an advocate on their side—an attorney who can help ensure your rights are protected. Insurance adjusters may try to rush you into accepting a settlement, but this compensation may play a vital role to your future physical, emotional, and financial health. Seek the advice of a lawyer who understands your situation and can help you obtain the best possible outcome. At Latoff & Latoff, our legal team has helped many accident victims successfully negotiate with insurance companies. Call our Mobile office today, or take a moment to fill out the contact form on this page to get started.